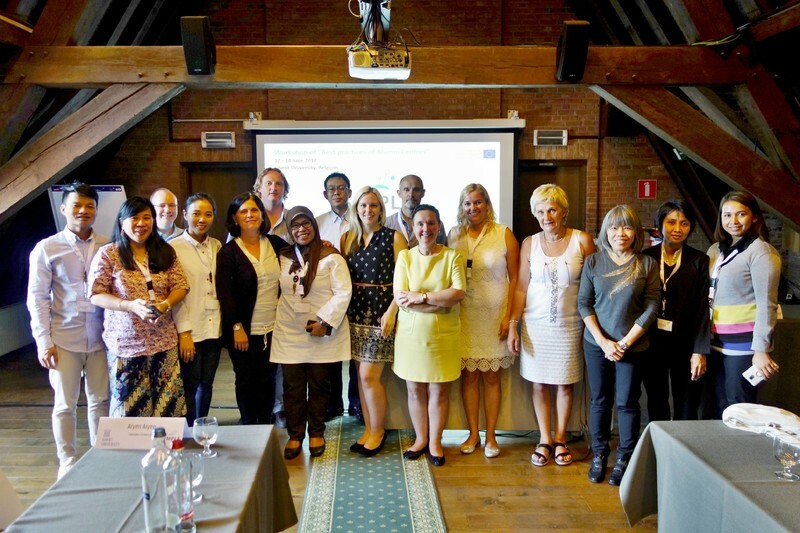 Workshop of Best practices of Alumni and Career Centers was held at Ghent University at Belgium from 12 till 14 June 2017. During three intensive days project team focused to deep study of the best practices of Alumni and Career centers together with a number of outstanding international experts. First day of the Workshop was focused to Desktop study of successful Alumni centers in Europe which was created by University Ghent and Guest speakers from highly evaluated Alumni and Career Centres (University of Groningen – Derk Bosker, CASE – Yashraj Jain and University of Navarra – Maria Goni Vidal) gave deep view into their activities. 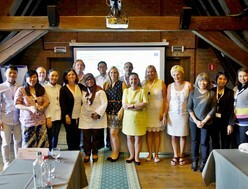 Each partner university shared their experiences and recommendations to ensure high quality also at international level. The second day project SIMPLE representatives were invited to European Commission – DG DEVCO – EU - EUROPEAID – for the presentation on European development policies by Achim Tillessen, presentation on Asian agriculture issues and academic cooperation with agricultural partner universities in Thailand, Cambodia and Indonesia presented by Jules Seitz and Christopher Larose. Explanations about H2020 and possibilities for research programs in agriculture was presented by Agnieszka Romanowitz at EU DG Agriculture and Rural Development and ASEAN relations by Laurent Lourdais. Lasts visits of the day was to COPA-COGECA and practical view to farm management and proliferating to different fields was seen at farm Dem Ighemjouter. Third day of the workshop was focused to best practices of Career Centres and group discussions: ex-change of experiences, contextualization in the country and presentation of outcomes of each country group. Experiences and expectations on working with Asian Agricultural market and with student was presented by HR manager of INVE Aquaculture. It was pleasure to welcome Anila Throshani from EACEA for monitoring of project SIMPLE and receive feedback and good advices to the Workshop and the Project.